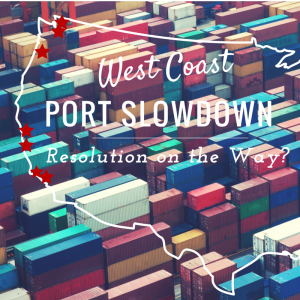 As everyone is aware, the labor issues affecting the west coast ports have come to a resolution. However, labor is only one of several factors affecting delays through the western ports of the US. It will be months before the backlog of vessels and containers are cleared and transit time thought the ports return to normal, if ever. One key issue which has not been resolved is the shortage of chassis to move the containers. This equipment problem and driver shortages will cause delays well in to mid year and possibly beyond. While we anticipate better delivery, please continue to plan on a 120 day parts supply lead time from date of order to be on the safe side. We will continue to post any new developments here in our blog. Check back in on a regular basis. Receive shredder industry news, K2 Casting News and more.